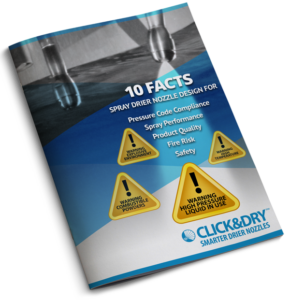 Our latest Click&Dry™ product represents some of the most significant nozzle design developments in the history of spray drying! 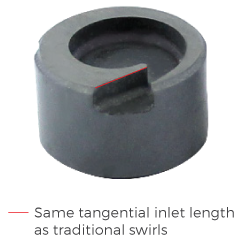 The most compact swirl design that delivers equal performance in comparison to traditional larger thick swirls commonly used in many dryers. 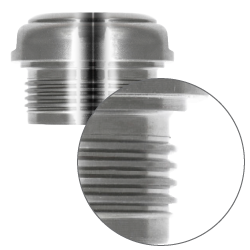 Achieve perfect wear part alignment, better spray performance and increased wear life. World’s first unique heavy-duty dual seal face protection designed for protection against o-ring seal groove damage. Keep the body o-ring exactly where it needs to be. 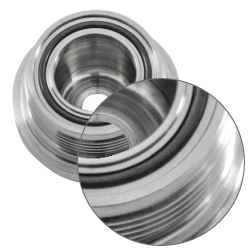 Benefit faster change outs; reduced o-ring misplacement and safer operation. Reduce the problem of dripping and scorched particles. Available for sale independently or with all Click&Dry™ series. 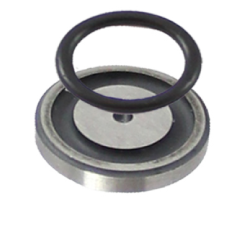 The easy to clean Seal-In-Disc™ (orifice disc) is designed to incorporate the orifice disc o-ring. 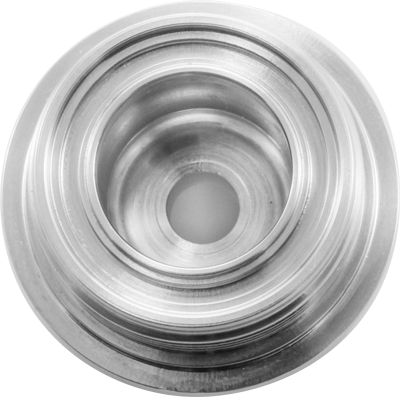 No o-ring groove in the cap chamber allows for a smoother internal cap. 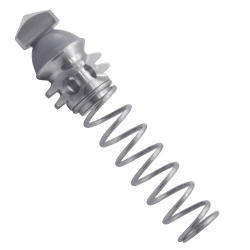 Heavy-duty larger threads, which are highly resistant to normal impact damage during lance handling. Minimise body seal damage and leakage. 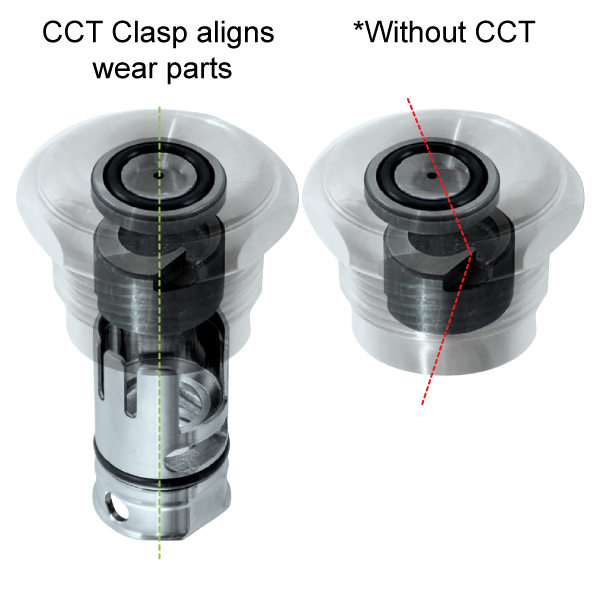 The body seal is only in contact with the sealing surface once assembly is fully home. 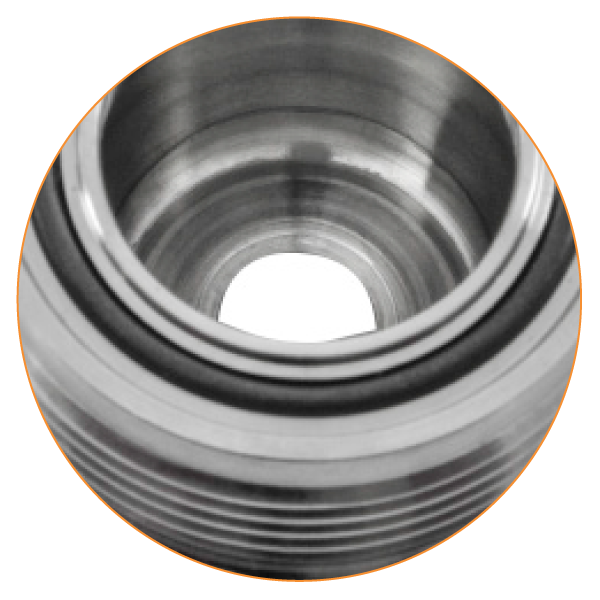 With no seal groove in the cap chamber, Click&Dry™ internal cap surface is smooth making cleaning and maintenance easier. ~pat. & other pat. pend.